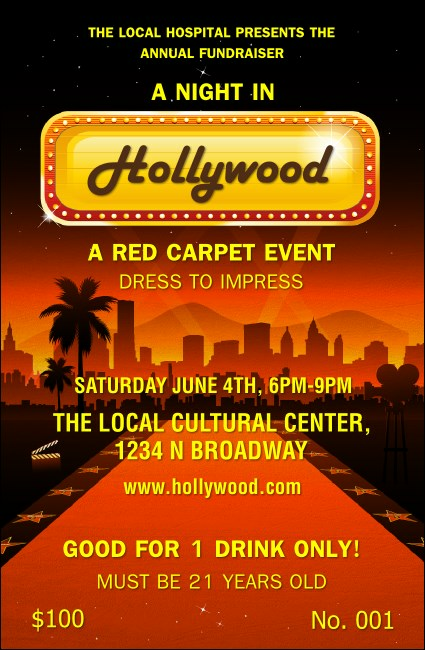 Offer drinks to your special guests and distribute the Hollywood Skyline Drink Ticket at your film-themed event. This sunset-drenched design features a red carpet leading to the city scape in the background. Offer cocktails, wine, beer and soda and keep your service staff happy.